1.India vs Pakistan in Pakistan. In 5 match series,Indians were lagging behind 1-2.It was a do-or-die situation for Indians.Pakistan managed to score big total of 293 runs in 50 overs.In response,Indians were struggling at 94/4 in 13.0 overs.Dravid's 76* with Kaif(71) won the match for India. In the end,Indians won the series 3-2. 2.India vs NewZealand in 1998-99. 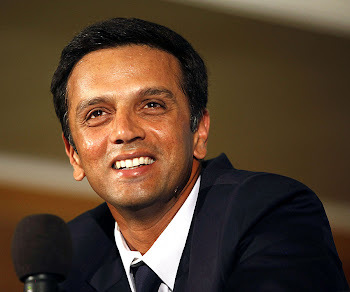 It was 1st ODI in the 5 match series.Indians chose to bat first and it was bad start with Sachin gone for duck.Dravid played a superb knock of 123 runs adding 113 runs with Ganguly.After Ganguly's dismissal,he took Indians to a safe total of 257 in 50 overs.It was really a good knock from Dravid considering the bounce and swing in the wicket. Though India lost the match,that innings is still counted as one of his best innings.